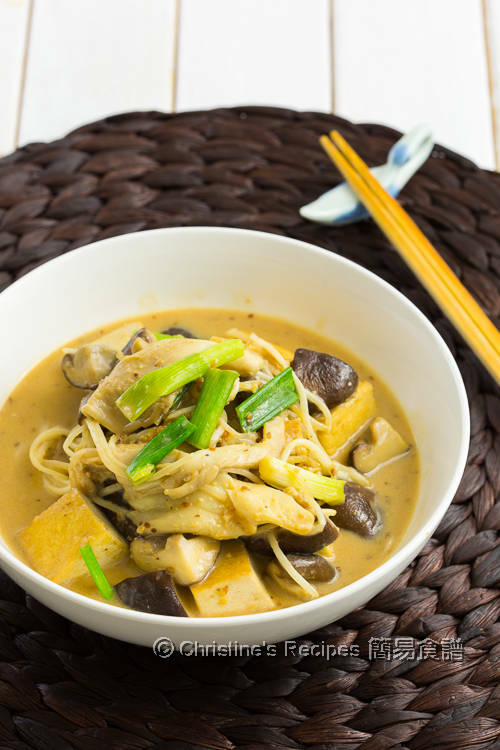 The highlight of this dish is the sesame and miso sauce. It’s quite straightforward to whip up the sauce. I experimented by adding a bit of Kewpie roasted sesame dressing and see how my family liked it. Not surprisingly, the nutty and creamy dressing subtly brings in a pleasant sesame aroma, and giving a slightly tangy taste to balance the whole dish. 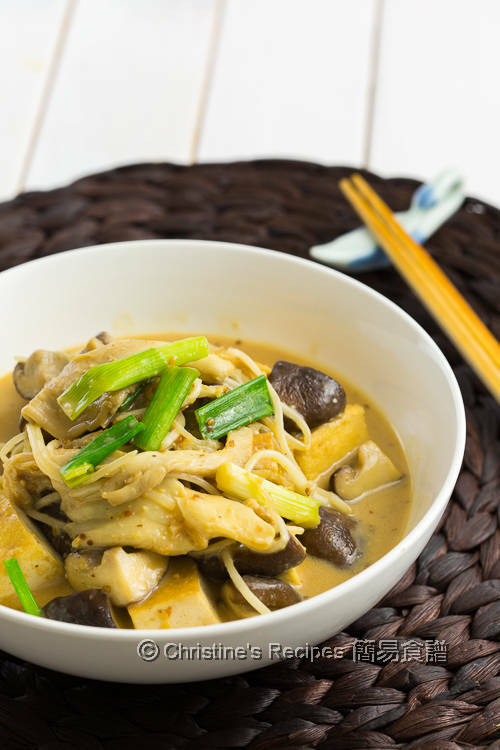 There’s nothing more satisfied than watching your family enjoying this simple dish with thumbs up. 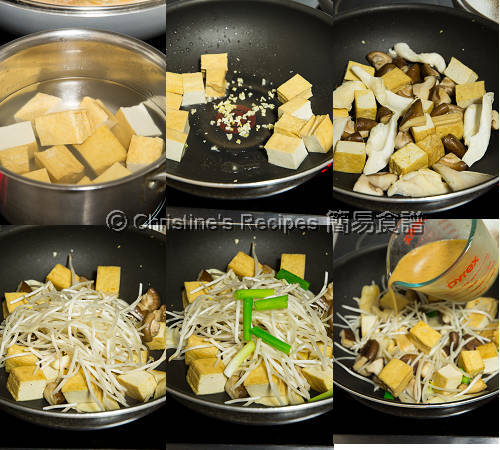 Cut fried tofu into large chunks. Blanch in boiling water for 2 minutes to remove grease. Drain well. Set aside. Heat oil in a wok over medium-high heat. Saute garlic and tofu until aromatic. Add shiitake mushrooms and oyster mushrooms until fragrant. Add bean sprout, spring onion sections. Season with salt. Pour in the sauce. Bring it to a boil. Done. Serve immediately. Try to get salt-reduced miso paste if you can. 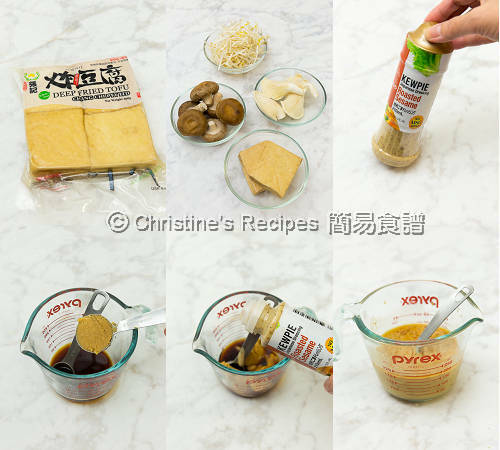 Miso paste is available at Asian or Japanese grocers. I used Kewpie sesame dressing, that’s also available from Asian or Japanese grocers. If it’s not handy to you, you might substitute with any sesame sauce of your favourite. Adjust the amount accordingly. Fried tofu is available at Asian grocers. That sesame sauce makes the dish, doesn't it? It looks mouthwatering!